No new hardware on show, but Apple still has a few tricks up its sleeve. Hoping for a new Mac Pro or maybe an even bigger iPad Pro? Forget about it, at least for the time being. Apple's WWDC announcements are rarely about the hardware, and this year is no exception. 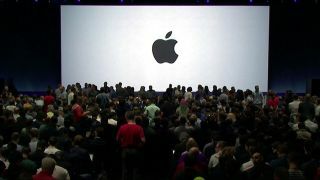 In fact this year's WWDC offered up a big plate of pretty slim pickings all round; nothing earth-shattering, rather some incremental updates and improvements to existing software. But if you're a designer there are a few cool reveals from WWDC that might improve your life; here's what we've found. Apple's still keen on augmented reality, and its new version of ARKit in iOS 12 is designed to help developers create even more immersive AR experiences that can be experienced by multiple people simultaneously. ARKit 2 uses a new Pixar-developed file format for AR content, called usdz, which should make creating and sharing AR creations a lot easier, and which is going to be supported by major developers including Adobe and Autodesk. Another clever AR feature coming in iOS 12 is called Measure, which enables you to use AR to work out the size of objects by pointing your iPhone or iPad's camera at them and dragging a finger across them. Quite how accurate it is, we don't know, but at the very least it's a fun feature that could have plenty of useful applications; in Apple's demonstration it was used to size up a photograph for framing. Another new iOS 12 feature, which you'll also see on the Mac, is a new group calling option in FaceTime. With it you can set up a call of up to 32 people, with a moving tile display of faces that move into greater prominence when someone's talking. It looks like a great way to set up remote meetings and conference calls without any hassle, although we wouldn't suggest it with 32 people; you'd never get anything done. What's that? You need animated emoji that look like you? Well, if you have an iPhone X then your dreams are about to come true; the latest type of Animoji allows you to create your own Memoji that match your personality and mood, to use in messages and FaceTime. Happy now? There's a bit more to be excited about in the new version of MacOS. Not a great deal, but Mojave's packing a few features that should make life easier – or at least a little more comfortable – for designers. Apple seems to be particularly pleased with itself about Dark Mode, which sees all its first-party apps take on a darker hue, matching what you already get by default in Adobe's Creative Cloud apps and hopefully resulting in reduced eye strain during those late night sessions. Apple's also tackling desktop clutter with Desktop stacks, which you can use to tidy up your screen by gathering together related icons into piles that you can expand with a tap. Finder is also being given a welcome upgrade in Mojave, introducing a Gallery View that enables you find files visually, using big previews that make it much faster to locate a particular image, as well as a Quick Actions option that lets you work on files from within Finder. With it you can do things like rotating images, adding password protection to documents or trimming video, without having to open another app; time-saving stuff! It goes further with the new Quick Look option; with this you can crop or rotate images and PDFs, mark them up with notes and send them off via Mail or Messages, all without needing to launch a specific app. Other improvements in Mojave include better screenshot capabilities that'll let you capture the entire screen, a window or just a selection, as well as enhanced screen recording that allows you to record the whole screen or a specific window. And Apple's making it easier to get photos from your iPhone to your Mac, too; with Continuity Camera you can take a photo or scan a document and have it appear instantly in a desktop app. That about covers it for new creative tools and features; consider us just about whelmed. If you want to know about Apple's other announcements from WWDC, head over to TechRadar.